Medical Alert Systems being replaced by Internet based? No wonder the Medical Alert systems of those days use a telephone line to connect the care receiver to the emergency help. Use of the telephone line changed everything and this is how; Since the person in an emergency could reach only one person at a time and only using voice call, it would be best in an emergency to reach a trained professional – the operator. This operator would asses the level of caller’s emergency and based on the emergency level and type of emergency would either – call 911 or local paramedics, fire, police or another emergency departments, next of kin and then coordinate the safety – making sure that emergency staff has access to the building, key to the apartment etc, Or in case the emergency is assessed that it can be managed by family or friends coordinate with the safety family and friends. This dependency on the operator to coordinate the safety made operators critical to safety. For this reason well trained and hence well paid operators were required in very secure and well designed central stations. Because a lot of investment was made in these centers and because of high costs salary of their staff Medical Alert companies needed to charge upwards of $30/month for this service also know as PERS (Personal Emergency Response System). To entice new customers these companies started to provide free products as long as the customer is subscribed to their monthly service. Even when the newer upgraded medical alert systems were designed and created, the model of having the operator to coordinate the safety did not change – how would it, 100’s of millions if not billions of dollars were invested in the infrastructure and in training of these operators. Then came “The Internet” – The Internet changed everything, it changed the delivery mechanism of products and services affecting business models in most verticals. The Internet also started to creep into monitoring services of homes where people to forego their monthly monitoring service fees, started to purchase DIY (Do-It-Yourself) Alarm and webcam systems and have the alerts come to their mobile phones. Canary home security and Nest’s Webcam are two such systems enabling home owners to take safety of their homes in their own hands. You may notice that the job of the operator can now be easily managed by an intelligent piece of software which can coordinate the safety of the person in an emergency. Or may I say a software based systems can alert and inform friends and family faster and more intelligently than a human operator. This system also directly connect the caller in need directly to the trained staff at the well funded 911 emergency services reducing the need for the “operator”, giving many customers a choice of low cost monitoring of their loved ones. 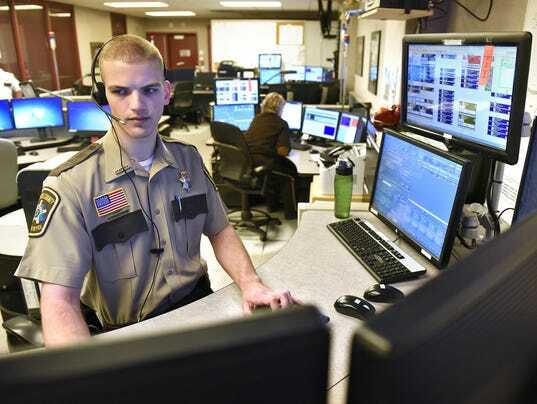 This system uses multiple channels such as Text Message, Smart phone notifications, automated calls etc, It can also connect the caller to 911. This all can happen at the very instance the emergency happens, as opposed to one-by-one steps a monitoring operator follows. Such internet based systems not only improve time to safety, reduce human errors and reduce costs but also provide benefits not possible with traditional telephone line based systems – such as; Continuous Safety – Major draw back of existing Medical Alert systems as explained here is that these systems kick in only when an emergency occurs. An Internet based Medical Alert provide continuous safety status of the person in care; Connects Caregivers & Emergency Staff – When any family member acknowledges the alert, that alert can be sent to person in care and other designated care givers are aware that help is on the way. Safety Labs Anchor-PA using the connectivity of the internet with an intelligent cloud server provides always available medical alert safety to elderly. See how Safety Anchor-PA works. Previous PostPrevious What is Crowd GPS and How does it Help Keep Our Loved Ones Safe?